This is a security alert for all Windows XP users! This week (8th April 2014), Microsoft released the last ever batch of security updates for Windows XP and will no longer be releasing official service and support updates for this operating system in the future. This means that in the future, users of XP could potentially be left without critical security updates, which may leave their computers more vulnerable to viruses and more susceptible to cyber-attack. 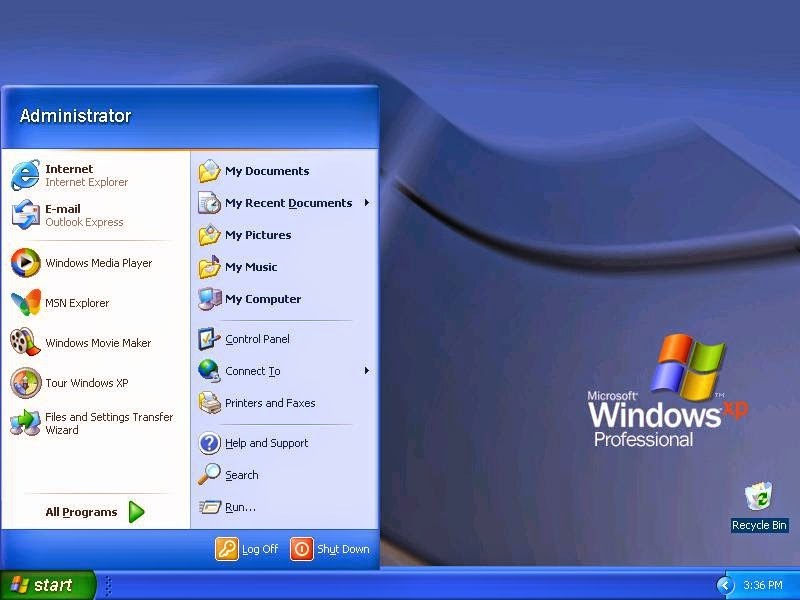 It could also mean that computer software and computer hardware manufacturers may begin to move away from supporting Windows XP which may lead to new programs and devices not being compatible with the ageing operating system. Even though it was released back in 2001, Windows XP is still hugely popular, with some estimates suggesting that roughly one in five PCs across the globe still run XP. If you still use Windows XP, then the ending of service packs and security updates doesn’t mean that your computer will stop working altogether. It’ll still continue to look and act the same as usual. However, it could become more vulnerable to cyber security risks and viruses, and over time the performance could also suffer. Which OS (Operating System) is on your PC running? If you’re unsure which version of the Windows operating system your computer is currently running you can visit the Microsoft web site, which will automatically tell you what your laptop computer or desktop PC is running. If you find that your computer is running Windows XP then it might be time to act. If you would like some FREE advice, please contact AWP Computer Services and we can talk you through the options. Thinking about upgrading your system? To help keep yourself protected, Microsoft suggests that you check to see if your current PC can be upgraded to the latest software. They offer a Windows Upgrade assistant on their web site that will scan your computer and tell you if your system is compatible with the new operating system. Microsoft recommend that you download and run the Windows 8 Upgrade Assistant to check whether your PC meets the system requirements for Windows 8. The Windows 8.1 system requirements are nearly the same as the Windows 8 system requirements, so if your PC can run Windows 8, in most cases, you can get the free update to Windows 8.1. Upgrade Assistant will also check program and device compatibility, and provide a free compatibility report. What about transferring old files to a new PC? If you’re not able to upgrade your computer to a more current operating system then it might be time to consider buying a new desktop PC or laptop computer. If you were to buy a new PC, but want to transfer your files, photos and music over from your old Windows XP computer then Windows provide a free data transfer tool called Laplink PCmover Express. You can find out more about Laplink PCmover Express on the Microsoft web site. How do I move all my Windows XP stuff to a new PC? If you are still unsure about your options, please feel free call AWP Computer Services for some FREE no obligation advice. Whilst a direct transfer of your files to a nice new Windows 8 (8.1) laptop or desktop PC may be the preferred option, it's not the only option. An upgrade to Windows Vista or Windows 7 (64 bit) in all their various flavours could be a cost effective way of extending the life of you existing computer system. Visit the AWP Computer Services (PC Fix) web site for more information.